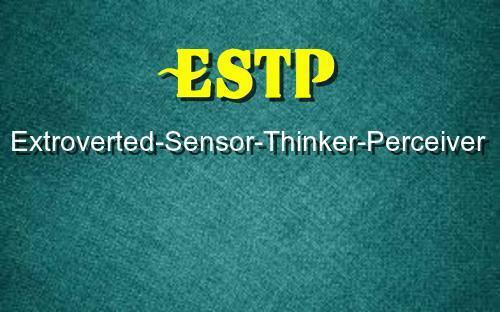 In order to understand the ESTP, you must first understand their four main functions. The ESTP thrives on living in the moment. They take in the world through their five senses, and always know how to act and adjust in order to get their point across. They are the “daredevil” types. They like to live on the edge and chase after that adrenaline rush. Extraverted Sensing is very good at reading “cues” and acting upon them. The ESTP can see an “edge” in a situation, and do whatever they can to take it. The second function of the ESTP is Introverted Thinking (Ti). The ESTP loves to live in the moment, but they also take time to reflect and think things through. They desire for their world to make logical sense. The ESTP is very good at understanding and repairing physical items. They can become good handymen and figure out ways to repair their own cars and appliances. They may have a tendency to take “shortcuts” with these repairs, however. The ESTPs third function is Extraverted Feeling (Fe). This function is developed a little bit later in the ESTPs life. The ESTP is very good at understanding others intentions and motives. as well as making other people feel at ease. Introverted Intuition never really becomes a strength for the ESTP. The ESTP lives in the moment and reacts to what is immediately present. Introverted Intuition goes against their natural way of being. The ESTP may use this function in a negative way. Introverted Intuition is all about recognizing patterns and how things will play out in the future. An ESTP under stress can negatively interpret situations and find perceived slights that are not there. The ESTP would be wise to recognize when this is happening and remind themselves that they may be blowing these interpretations out of proportion.